How many hair grafts can be transplanted? Hair transplant Turkey or Hungary? How do you know you can trust our hair surgeons? Where do I get a free hair assessment in UK? Welcome to our site, the newest website dedicated to Hair Restoration and Hair Transplant procedures. At our Budapest facility our staff is committed to service excellence, catering to your needs and busy schedule. Our FUE (Follicular Unit Extraction) Hair Transplant Clinic is geared for a private consultation in a comfortable environment preparing you for a pleasant experience. Our goal is to provide you with personalized care achieving incredible results. We hope you take some time to review this website, learn about Hair loss surgery and Hair Transplants and view our gallery of before and after photos. Hair transplantation or hair transplants surgery is a surgical procedure, performed in an outpatient setting using local anesthesia. It involves moving hair from either the sides or back of the scalp and then re-distributing it to the balding areas. Since the hair on the back and sides of the scalp is not subject to DHT (dihydrotestosterone) it will grow in its new location. The number of grafts or size of the hair transplant one does will differ from patient to patient. For hair transplants in Budapest contact us today. When you are seen for your initial consultation for hair replacements in your area, we will take your medical history, examine you and then discuss your preferences and expectations. Our surgeon will then advise you on a surgical plan and discuss what you can reasonably expect. The amount of donor hair that you have will play a role in the size of the hair transplant procedure/session. A hair transplant procedure can have anywhere from 500 – 3500 grafts. Each graft also referred to as a micro/ mini grafts or follicular units can have 1-4 hairs each. The smaller grafts or follicular units are placed in the frontal area or hairline to give a natural, undetectable looking head of hair, whereas grafts containing 2-4 hairs are used behind that to give density. With new hair transplant methods hair restoration has become affordable to most men. FUE SafeSystem gives you natural looking results, the procedure is painless and scar-free. All it takes is a 1-2 day surgery and some month of regrowing of your hair. Once you have got the hair transplanted from the back of your head you will see a new YOU in the mirror and this will surely increase your self confidence. You need to travel abroad to get your hair loss surgery, though. Hair clinics in Hungary are safe and trusted health care units with all the licenses the EU requires to run such an institution. Flight from the UK and Ireland take less than 3 hours so theoratically you can be sitting in your hair surgeons chair within a few hours from your departure. You can save as much as 60-70% on your local costs and this means Ł3000 or more in savings if you visit our hair clinic in Budapest. About prices and details view our hair restoration cost page. You can start your hair rejuvenation journey back at home by attending one of the free consultation places we currently offer: London, Liverpool, Manchester, Leeds, Birmingham, Belfast, Sheffield in the UK and Dublin in Ireland. You will meet or hair specialist in person and you will get a detailed report on your hair status and possible options. If you suffer from receding hairline, thinning hair on the top of your head or you experience mature hairline at a young age you can take advantage of hair transplant abroad. Reasons: Turkey and Hungary are hot spots for hair restoration for their low cost hair loss surgery (you can save Ł2000 or more: 60% on UK costs) and their expertise and experience in FUE hair transplantation. Choosing a well-trained hair transplant surgeon is the most important decision prior to having any cosmetic surgical procedure especially hair transplant or hair restoration surgery. Certification means that the surgeon has completed his plastic surgery training in an approved institution and has passed a rigorous set of examinations. Our surgeons specialize in the latest techniques of Hair Restoration surgery. Our surgeons have a keen eye for aesthetic quality. They bring to our hair implants surgery practice a unique blend of intense training, surgical excellence, deep compassion, and unparalleled artistic judgment. Our staff is known for establishing strong doctor-patient relationships built on education, trust, and understanding. This philosophy leads to countless, successful cosmetic results and scores of elated patients. Any doubt regarding or hair clinic? Feel free to check out the video testimonials or written reviews on TrustPilot portal. 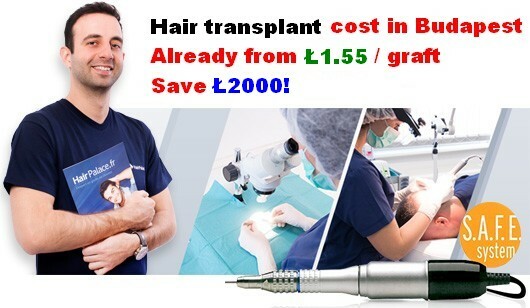 Hair transplant UK, Ireland, Turkey or Hungary? Two real options come up when searching for hair transplants abroad. One is Istambul, Turkey, the other is Budapest, Hungary. Turkey has lots of specialised clinics and they do hair restoration in big volumes. Their prices are somewhat lower than in Hungary but there are some other considerations to take into account. 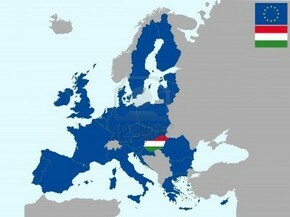 Hungary is a member of the EU and strict rules apply to medical services. Budapest is closer to London and it is accessible within 2 and a half hours’ flight. Another aspect is that in Hungary, just like in other EU member states, only doctors can perform surgery. Unlike in many Turkish clinics where assistants do the job in part or fully: you need to investigate first. Also, Hungary has now several decades of experience working with Wester-European patients thanks to its world-famous dental tourism. If you look for a place outside the UK or Ireland Budapest is your best bet. 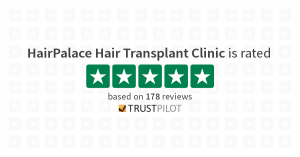 Read reviews, listen to testimonials and check out real life before and after hair transplant images to make an informed decision. Feel free to ask questions to find out what works out best for you!